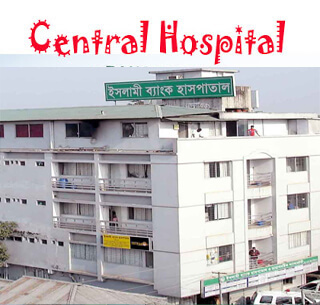 Islami Bank Central Hospital is one of the distinguish features of the Islami Bank Bangladesh Limited. The overall activities of the foundation are operated for the welfare of the people and society. It has decided to emancipation and uplifts the downtrodden and helpless people of the country. At the end of its view, it has made a separate fund is called Sadaqua Tahbil. Islami Bank Central Hospital, Kakrail, Dhaka, was established in 2002 with 206 beds and 06 operation theatres. It’s the biggest and fastest growing private hospital in Dhaka. The hospital is going ahead as the leading private health care center in Dhaka. It’s operating its daily activities in their own building. The hospital contains 3 buildings with 06 operation theatres including 01 eye OT, 06 post operative and 05 preoperative rooms. It’s well equipped with modern ICU that’s leading by the specialized and famous physicians and medical service providers. The vision of the hospital is to offer best quality medical services to the under privileged people of Bangladesh with expert and specialized medical service providers. Most of the hospital cost a huge amount of money for various investigations and most of the people of the country are not able to expense this money for their medical issues. Besides, public hospitals are not able to treat all of the people. As a result, the foundation decided to establish a hospital for common people to meet their needs. The out patients services of the Islami Bank Central Hospital Dhaka are including Pediatrics & Neonates, skin diseases, dentistry, Obstetrics and gynecology, plastic surgery, orthopedics, surgery, endocrinology, nephrology, cardiology, gastroenterology, psychology, neurology, internal medicine etc.